While using the internet, especially on Internet Explorer, you will most likely face this error. This error appears as a crash report stating ‘Website not responding’, which really is bothering. This ruins all your internet surfing fun. Now when you got out to search for a fix, don’t fall for lame and long solutions. There pretty basic and easy ways to fix this problem. I am going to tell you some easy and basic ways to fix this issue. Also, this guide will help with ‘Internet Explorer not responding Windows 8’ and ‘Internet Explorer not responding Windows 7 64-bit’. There is a set of some basic steps and then you will be done within a matter of seconds. You can use this guide to fix various other errors coming from browsers while browsing. 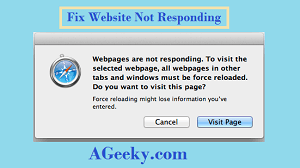 Ok, so let’s going with our guide to fixing ‘Website Not Responding’. Note: This is an easy guide and doesn’t involve any complex procedures. Make sure your internet stays connected and also, follow each and every step as it is. You will be done within a matter of seconds while fixing your problem even sooner. This guide will also help you with ‘Internet Explorer Not Responding on Startup’. Since I have already told you that this is a general fix and will likely solve many browser problems. First thing you have got to try is pretty simple. If the problem has occurred to you for the first time, then it may not be complex. You can fix it by simply restarting the application. Because your system 32 might have faced some problem at the moment. If restarting the app doesn’t help then try restarting the PC for once. I am sure that this is going to fix the problem for you easily. This second thing could get complex if the problem is occurring again and again. You will need to follow few steps to fix if it is happening repetitively. There might be some updates, add-on or other browser bugs that are stopping the app from functioning properly. Following are few points that could prove helpful in getting rid of the problem. Always make sure that your software is updated to the latest versions. Many times it occurs that you keep using the old ones when your PC require a new one. Don’t forget to install the latest updates coming from your developer. Mainly your windows will notify you of any updates available and then you can do them at any time. If it doesn’t due to any reasons, then search for updates manually. Keep visiting Microsoft website for latest Internet Explorer versions. An easier way to approach the problem is to use the windows troubleshooter. This automatically searches for problems that might be occurring on your windows. Once there is a problem found, it will suggest you many solutions to fix it. You should try the easiest or the precise one. Instead of hopping around the internet and wasting time, make sure that you for this option first. By doing this you will definitely find a fix for the problem. It is also important that you install the updates first. Because mainly, updates are the reason. Also, keep managing the add-ons and another stuff present on the browser to be sure. Trying out different management techniques you can avoid future trouble from your apps. Did this guide help you? I really hope it did and we can know this by your feedback. Leave it for us in the comments section. Also, ask any question related to the guide. We will try our best to fix it. 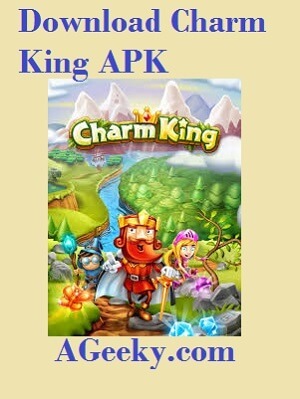 Till then, stay tuned to AGEEKY for more tech guides, APKs and news.